Have you ever been walking a dog or commuting home and thought, “I need three to four slices of ham or I’ll die?” For me, that happens everyday. Same for people in Paris. So much so that two entrepreneurial residents have begun installing vending machines throughout the city filled with vacuum-packed meat. 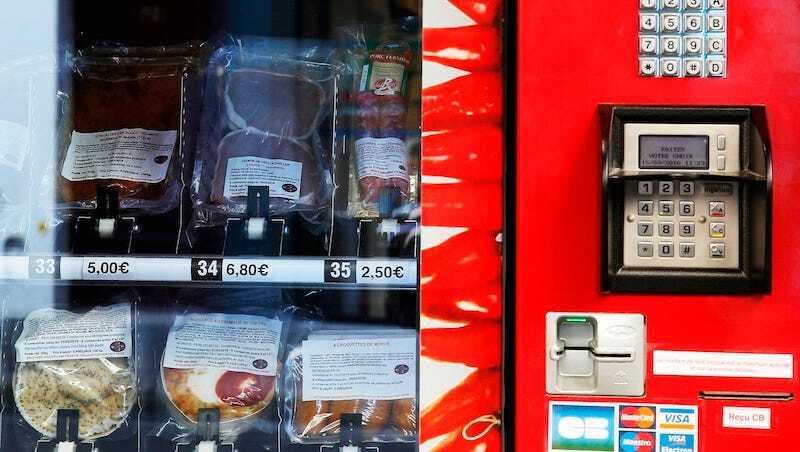 The vending machines take cash and credit card and specialize in meats from the Basque Country, but they sell everything from beef carpaccio to duck confit to “faux-filet steaks”—which are either steaks that aren’t quite cut into filets or filets of fake meat. Apparently, these meat machines have been around France for three years, but they are only making their way to Paris now.